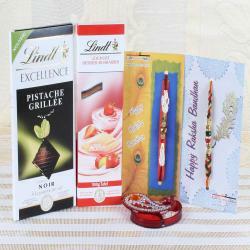 Product Consist: Lindt Himbeer-Vanille Chocolate (Weight: 100 gms), Lindt Excellence Arabica Intense Chocolate (Weight: 100 gms), Set of Two Om and Tiny Pearl Beads Rakhi along with Roli Chawal Container. Particular day, the sister ties rakhi to their brother to show their love. 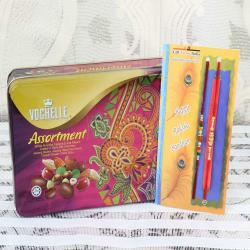 Gift the imported chocolate combo to your brother this will help you to express your heartfelt emotions to your loved one. The combo comprised of imported chocolates like white chocolate, dark chocolate, and other chocolates. 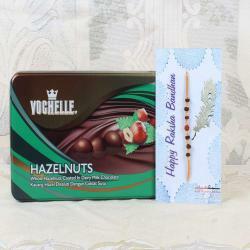 Also, contain chocolate date almonds pack which includes dates stuffed along with roasted almonds which are generously coated with finest quality chocolates. 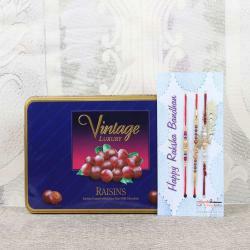 Send a set of two rakhis online on this particular occasion to convey your love to your brother. 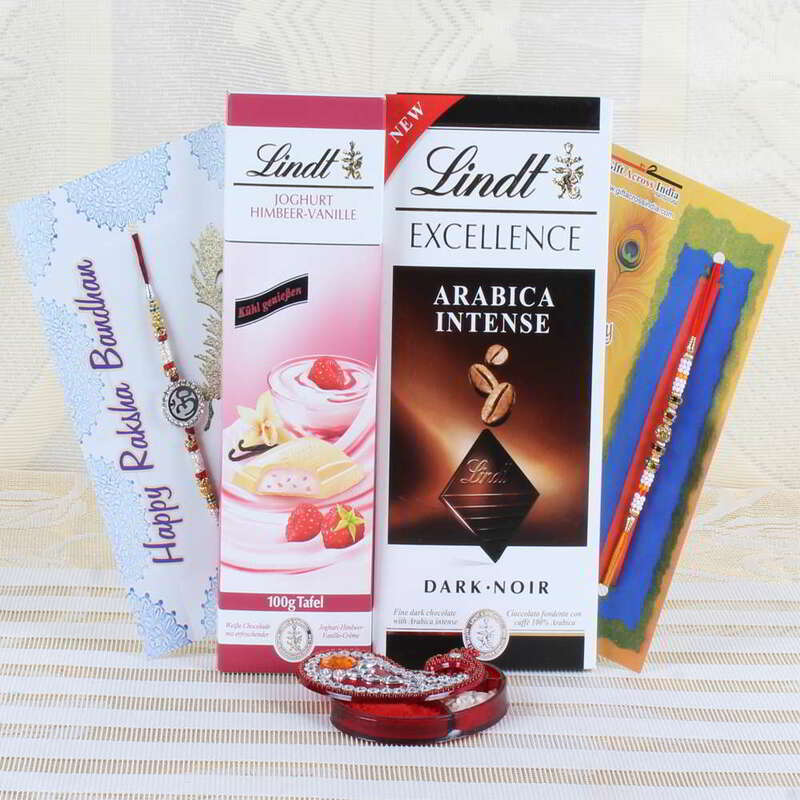 Product Consists of: Lindt Himbeer-Vanille Chocolate (Weight: 100 gms), Lindt Excellence Arabica Intense Chocolate (Weight: 100 gms), Set of Two Om and Tiny Pearl Beads Rakhi along with Roli Chawal Container.